Every time I go to use this app now it tries to download an update and it stops working with no explanation. AfterFocus is the next best thing! For those of us with older model iPhones without dual lenses. It’s very simple to draw a line for the focus and background areas, then set blur, bokeh, etc. Love it! Do one thing, but do very well! I use this app to make my photos more lively. 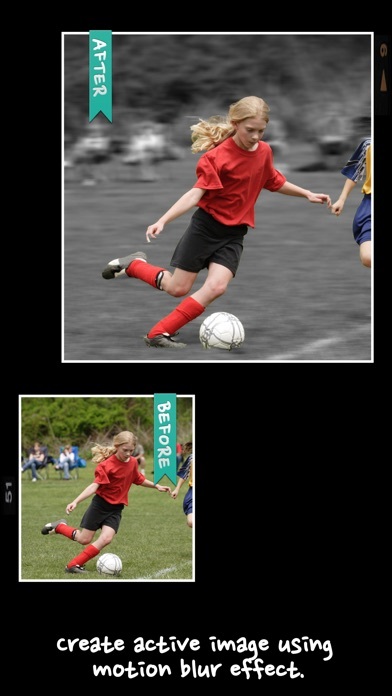 It is very easy to select people or objects in a photo using the smart selection tool, and its UX is great. You will instantly know how to use it; very intuitive. Facing out background adds way better effect than I expected. Two thumbs up! I've been using this app for years now, from my old Samsung phone to my iPhone 6S, and it works like it should! One thing, please fix the camera, it just shows black screen when i try to use the feature. Editing existing pictures are just flawless though! 1st review - decent and well thought out. Give 4 stars so far. Against the other app this one seems to be slightly better. Although other app crashed and developer does not know why it's crashing will need more head2head testing on same photo before giving a second rating. 2nd review against head2head photo. Have to downgrade this apps rating to 3 stars against other app at 4 stars even with other app crashing. Why? This app does NOT have a macro masking pop up viewer so you can actually trace outline of what you want to keep in focus. Using your fat finger user cannot see the mask. Sad. This app does have far more tools filters effects than other app. Yet cannot find the undo button when I made a background blur mistake. Developer give user a macro mask viewer window and an undo button and this app easy 4.5 stars!! 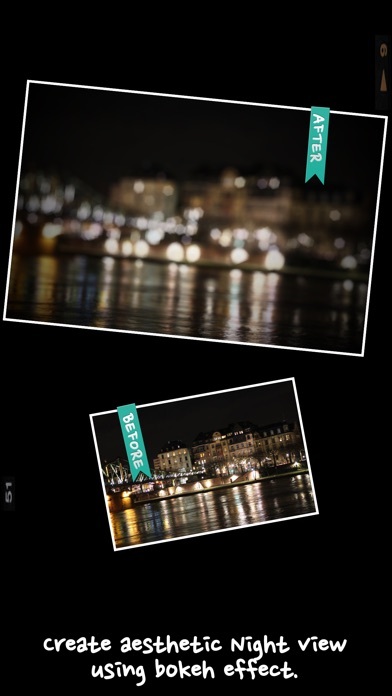 This app gives you fantastic EASY access to the 'pop out' focus/blur style of adjustments to your photos. Very smart app that has all the little tools and features you'll need to quickly achieve great effects. The default setting of overwriting your original photo should be changed before you use, if it's your wish to keep your original photo. FYI. Great app. The majority of reviews on this were right, I don't know why I didn't pay attention to them. This app is complete crap. There isn't an auto "smart" focus, you have to manually draw lines (like in old school Paint) and then it blurs everything outside of the crooked line you draw. So that your image looks like a kindergartener blurred it. They stole my money and I'd like it back. It isn't Photoshop but for $.99 it does what it's supposed to do quickly and easily I am delighted. I use the app to set the focus and out of focus areas. It is very easy to use. The results are excellent. This is one of the most useful apps I own out of the hundreds that I've bought. Does what it suppose to do. Easy to use and blurs out the selected background. So it does what it supposed to do. I am blown away with this APP!!! I got it, did the auto blur. AMAZING!!!! Easy to use, lotsa FXs! If there issues I don't think it's the user. It could be the processor of the device. My equipment are 9.7 iPAD pro and iPhone 7 (not the plus). Both with the latest OS update. Can't wait to see if MotionOne.Ltd comes out with a more Deluxe Version. App crashes upon selecting a photo. Deleted than reinstalled the app, but still will not load a photo to edit. It works when I take a photo but not with the photos in my camera roll which renders this app USELESS!!! This app has the potential for great photo editing but no matter what setting I put it on it uploads the photos already slightly blurred. Basically running the quality of any photo uploaded into it. So waste of time and money. 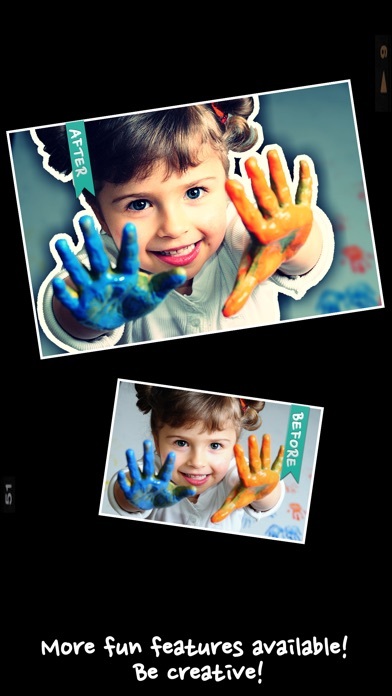 This app has the unique focus area selection method and it is easier to use than other touch-based focus-blur apps. Edge of selected area is clearly separated from blurred background. This app will be a my favorite after-camera app. Should not be this easy! It should be harder to make pictures look as good as this does! Works pretty well, especially if you take your time to carefully mask the areas you want to blur. I’ve used it a long time and will continue to until I find a similar app that leaves my metadata intact. As a photographer, it’s pretty important to have that info for photos in my catalog and galleries. So, only 3 stars from me. However, it’s great for quick social media posts if you don’t care about preserving metadata. This app does one thing and does it very well. This is a very easy to use and is very stable - I’ve never had it crash (iPhone 5&6Plus). Some apps have too many things going on, most of which I never use. This is a go-to app for me to make a good image look awesome! Thanks and keep up the good work. This app is too crude. The option to adjust the feathering is lame. The transitions from blur to focus are so harsh that regardless of the effort the final product looks like a cutout pasted onto an overly blurred background. 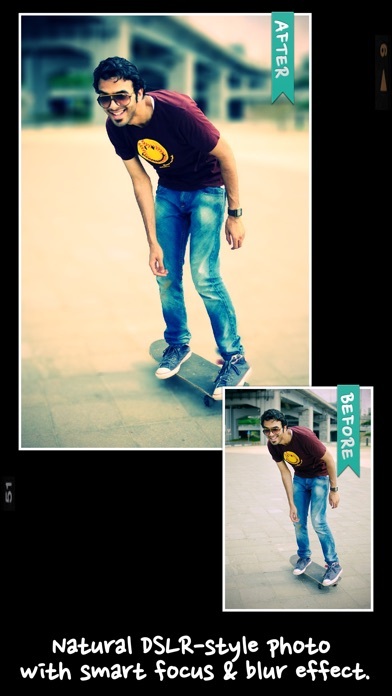 It's a cheap attempt to create a DSLR effect but it is ultimately an exercise in frustration. Not even worth a dollar. I am a photographer and I enjoy taking photos with a variety of prime lenses. This in no way resembles the effect of a real camera. I can't express how much I love this app. I've been using AfterFocus for awhile now. It's my go to app for full control of the depth of feel I'm looking for. "Smart blur" is so cool! This is a great app to add polish to iPhone photography and make your shots look more like they came from an SLR camera. The developer builds pretty great apps with a lot of attention to the detail of their work. Interface is great and quality is great. This app is easy to use to simulate a narrow depth of field. But unfortunately it doesn’t save your images in full resolution. This is the best blurring app I've used. Most of my photos don't have things at the same distance across the frame so using just a band to set focus and blur areas doesn't work. Same with just using a circle. This app lets you choose the objects to be sharp, mid, or all out of focus. Take the time to view the tutorial video on using the smart method. It pays off. And you can adjust the blur amount - I usually tone it down a bit. I don't mind the stronger setting as it lets me clearly see what the app is doing. Only 4 stars due to not supporting high resolution images from my other cameras. Need this and maybe make the app universal so I don't have to use it 2X on my iPad. I absolutely love this app, it's perfect! I do not have one of those nice, expensive dslr cameras so I don't get that nice blurry background when I take pictures, but now I can with this app! I've been using it a lot and it's worked perfectly. I cannot believe it was only $.99. Great deal! Dont waste your money. This app is a scam and doesn't work. I use this quite often to blur backgrounds in my photos. I love it, it works very well and is very very easy and intuitive. Please update for the larger phones, and also add Photos app integration? It would be awesome to open my photos app and just hit more and access the functions like I can photoshop express and such. Me encantó 👌🏻 la recomiendo totalmente. I love the app and it works great for images that need a defined cut out blur. If I need a soft transition blur it will not do it. The edge feather only is a few pixels wide. If they added a way to adjust the feather size this app would totally rule. The mid and background areas you make don't blend at all. The harsh lines between the focus and background are too strong. Without being able to feather or blend that blur you have to basically use it for cut outs if that makes sense. They do have an option to do a straight line blur that does feather or fade nice, but not when selecting an area to cutout. This app is GENIUS!! Exactly what I wanted!! I've been looking for an app that adjusts depth of field and THIS IS IT!! Every other app only lets you choose a circle or some variation of a selected shape. 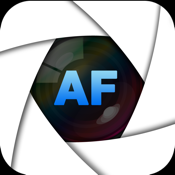 AF has finally given us amateur iPhone users an option to create that DSLR look! Highly recommended! I wanted to fix my blurry photo. Didn't do anything. Wasted my money. I want refund!!! 1 stars for the double photo feature which is at least interesting. But basically this app represents one of the worse wastes of a dollar I've ever known. The feather effect needs massive improvement in order to create a smooth transition between zones of focus. The finger swiping option is far superior to the automatic one for blocking out areas and that in of itself is still terrible. For a specific image this can work really well. But not for most and a headshot of a person with even a strand of hair not greased down on their scalp, forget it! I thought it sucked at first but I just had to learn how to use it and tweak it. Worth every penny if you like to edit photos.